Coppell senior midfielder Jeremy Basso fights for possession as he dribble up field on Friday at Buddy Echols Field. The Coppell Cowboys defeated Irving Nimitz, 4-1. Previously placed third behind Marcus, Coppell celebrated Senior Night with a 4-1 victory over Irving Nimitz to finish runner-up to District 6-6A champions Flower Mound due to Marcus’ loss to Lewisville on Friday. Coppell opens the Class 6A Region I bi-district playoffs next week against Denton Guyer. Date and location are to be determined. 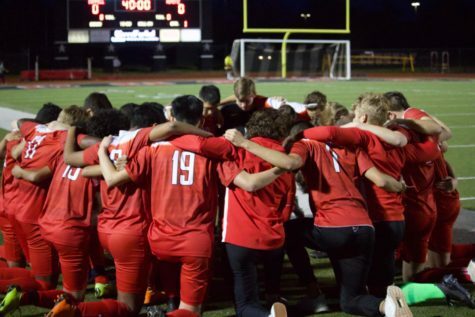 After spending four years of playing, training and creating unforgettable memories at Buddy Echols Field, the seniors of the Coppell boys soccer team played their very last home match. The Coppell boys soccer team huddle before the game to exchange words of encouragement on Friday at Buddy Echols Field. The Coppell Cowboys defeated Irving Nimitz, 4-1. With the win, Coppell finished district play 9-4-1 and passes Marcus (8-4-2), which lost 2-1 to Lewisville, for second place behind Flower Mound. The opening goal came in the 27th minute as CHS senior midfielder Johnny Koponen scored a well-aimed shot. However, Nimitz was awarded a penalty minutes later as CHS senior goalkeeper Austin Simigan fouled Nimitz senior striker Martin Reyes. With a shot into the bottom corner, Reyes converted the penalty into a goal, making the score 1-1. As the second half began, Coppell took up a more offensive formation and began attacking more frequently. 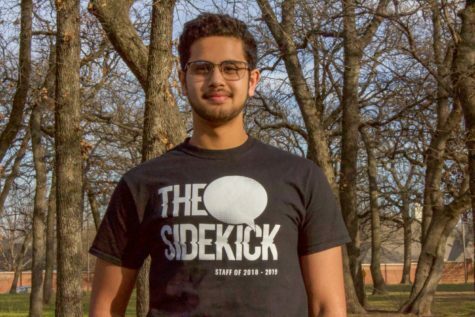 Their efforts finally resulted in a goal in the 47th minute, as CHS junior forward Tom Vazhekatt scored with a splendid chip shot over the Nimitz keeper, giving Coppell a 2-1 lead. 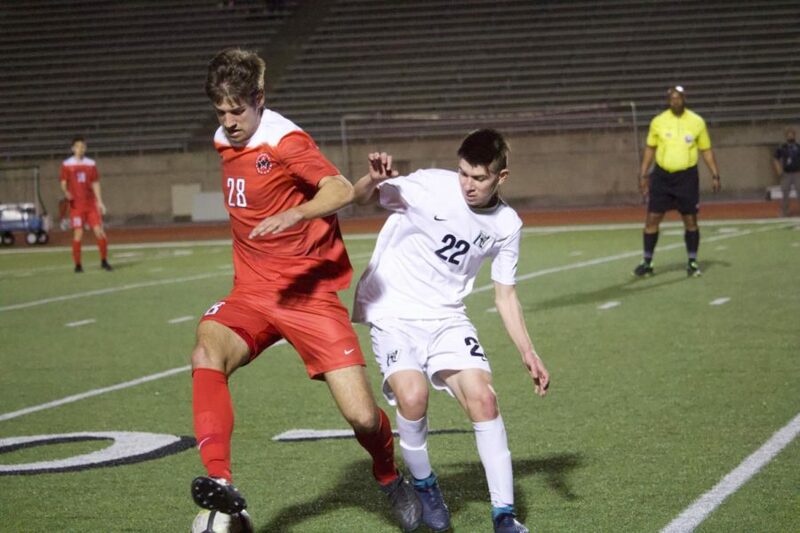 Coppell continued with its attacking mindset, scoring two back to back goals in the 61st and 62nd minute – a great dribble past the defense and shot by CHS senior forward Joe Ruedi followed by a lofted shot by Kopenen, giving him his second goal. The goals ultimately left the final score 4-1.